Water heaters in Toronto can be expensive. Water heaters in Toronto can be expensive, if you don’t know where to look or have the hookup. Luckily there are some friendly contractors in the GTA that service water heaters and tankless water heaters all over Toronto and the GTA. This service is for anybody that needs installation or repair to their water heater with tank, or tankless water heater. The company that is most fit for the job of Water heater installation in Toronto is AC Furnace GTA. Their website can be found at ACFurnaceGTA.com and they are well known and respected in the Toronto and surrounding area for being the best water heater specialists in the city. If you don’t have a properly working water heater in your house, you will not only be living well under the living conditions that you should be living at, it could actually end up costing you more money in the long run. AC Furnace GTA are trained in repairing or installing all types of water heaters and will explain thorougly to you how the water system works in your house. Do you already have a water heater in your home and you just don’t know why you are having heating problems? Often times there are little fixes that can be done to save you from having a $2000 reinstallation of an entirely new water heater. 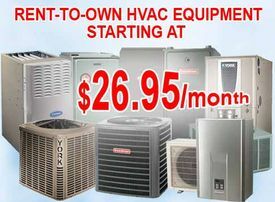 Water heaters and tankless water heaters are not the only things covered by AC Furnace GTA. They also can get solar water heater installation for you, a innovative new green energy solution for those that want to be ultra friendly to the environment.